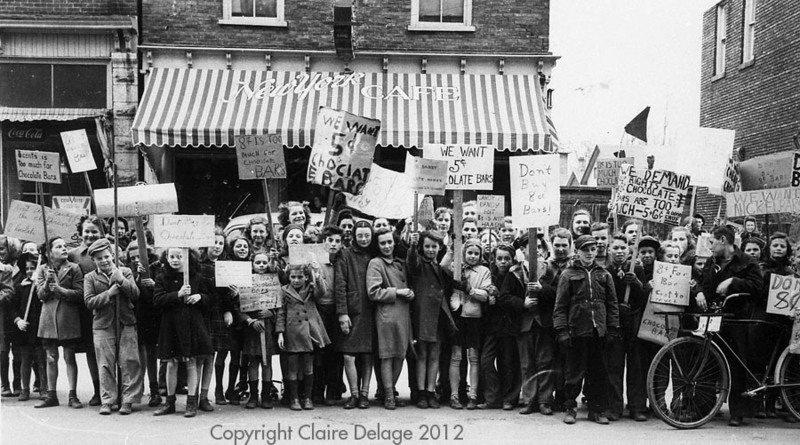 In 1947 the young people of Morrisburg staged a protest against the increase in the price of chocolate bars from 5 cents to 8 cents. The event made the national news. 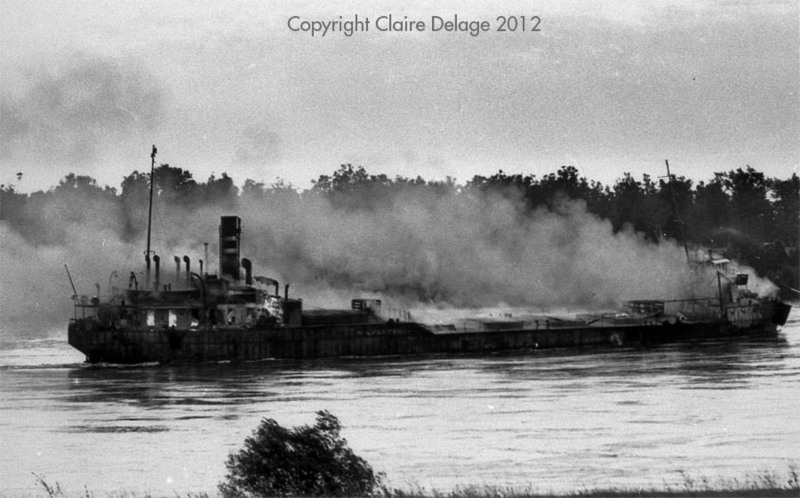 On September 24, 1947 the Coal Carrier Steamer MALVERVTON collided with the Tanker TRANSLAKE between Morrisburg & Iroquois. Eleven sailors were killed in the resulting explosion and fire. To see a detailed account in the local paper Click Here. 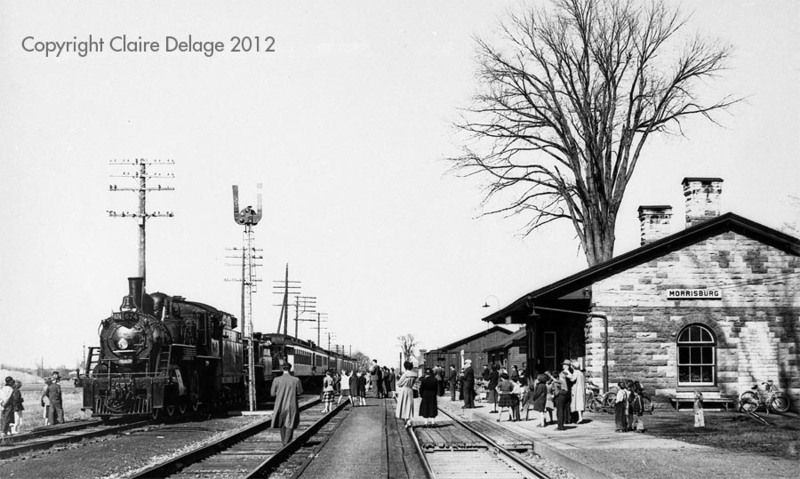 Crowds Meeting the Train at the Morrisburg CNR Station. This was the site of many historic occasions, general and personal: e.g. 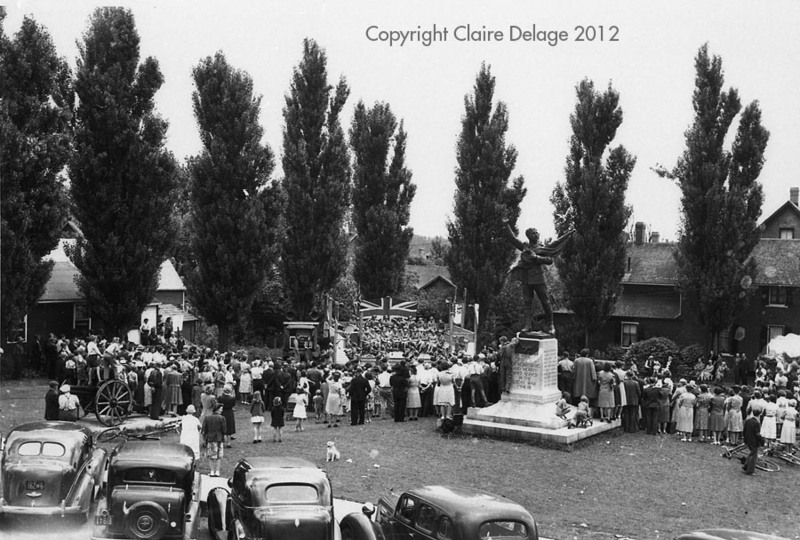 Young men going off to World War II and returning; VIP visits, Young people leaving for education or work in distant locations, homecomings, etc..
WAAC Recruiting Event at the War Memorial at the Main Street & Hwy 31 intersection at the beginning of World War II in 1939 or 1940. 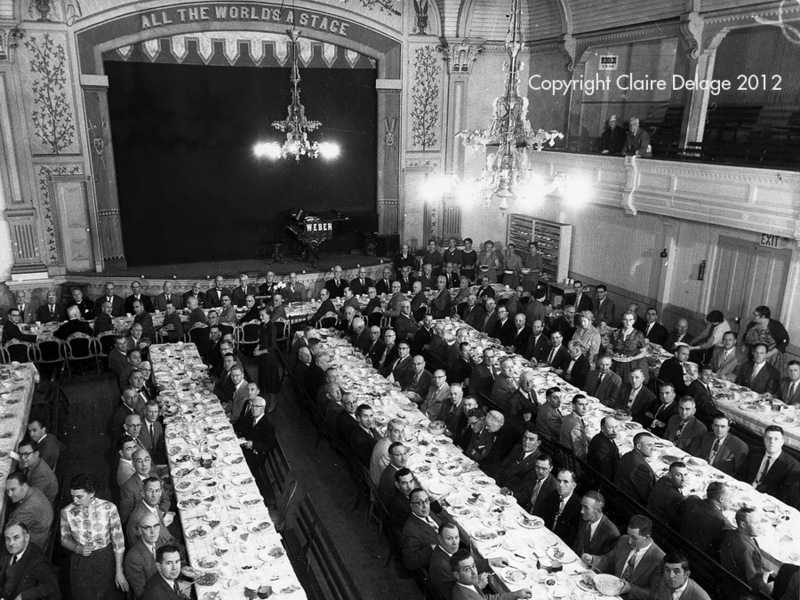 The Canadian Club's 1950s final dinner at the Music Hall (Inside the Bank of Nova Scotia Building on the South side of Main Street). Taken from the 3rd floor of the music hall with the grand piano on the stage. "All the World's a Stage" is painted above the arch. Live musical performances were held here. 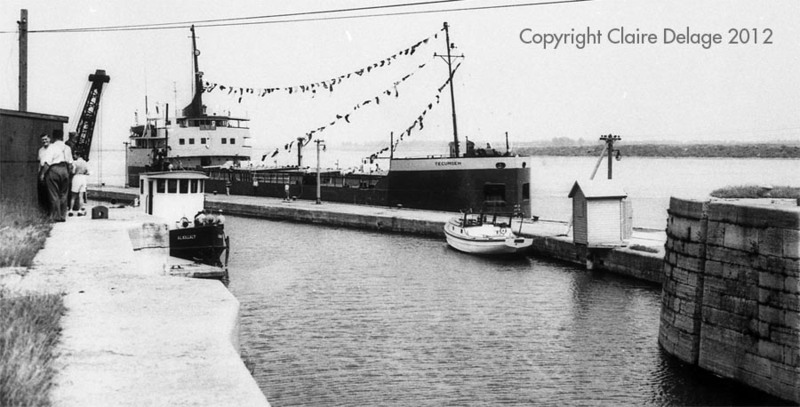 The "Tecumseh" was the last Ship through Lock 23 before the Seaway Flooding on 1 July, 1958. 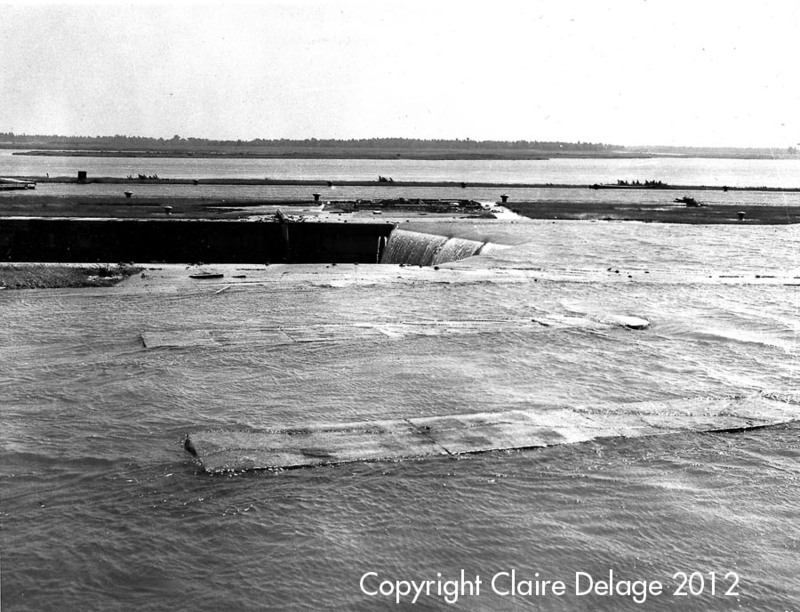 The water finally covers Lock 23 forever during the Seaway Flooding on 1 July, 1958.